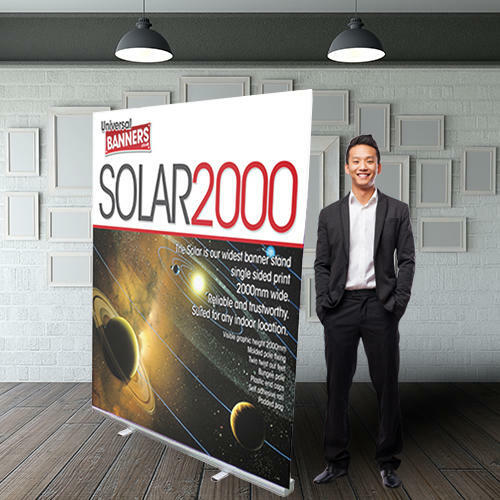 The Solar is perfect when you have a larger area, its single sided and 2000mm wide. Reliable and trustworthy printed on PVC banner material. This unit also boasts double feet to give it extra strength in congested high footfall areas. Printed on a heavy duty 450gsm banner material which is tear resistant. Waterproof, printed with fade proof-eco-solvent inks. Design your artwork 2000mm wide by 2200mm high with the bottom 200mm being bleed to enter the unit.